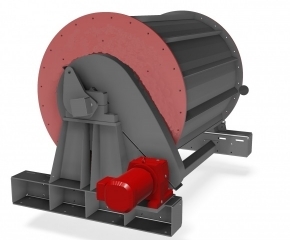 Drum magnets remove undesired ferromagnetic (Fe) particles – such as iron or steel – or even weakly magnetic particles, such as processed stainless steel, from materials in high capacity free-fall lines. The standard drum magnets are used for powders, granulates, fibres and coarser materials with heavy Fe contamination. Magnetic separators also prevent contamination of your end product and unnecessary damage to injection moulding machines, extruders, mixers, grinders and other equipment used in, e.g., the plastics and ceramics industries. The food/pharma and Lenastar drum magnets have been designed more specifically for the food and pharma industries. They have a smaller capacity, yet filter smaller Fe particles and even weakly magnetic particles out of a product flow. Operation: a drum magnet is a stationary (180°) magnet segment, around which a stainless steel drum rotates, with or without cleats. The advantage of a drum magnet is that it is a continuous system, in which it is not necessary to stop the product flow to remove the filtered Fe particles. This makes the drum magnet very suitable for product flows with heavy Fe contamination. 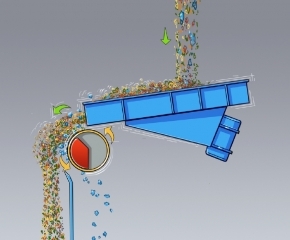 The drum magnets in the group Magnet separation differ from the drum magnets in the group Metal & waste recycling. 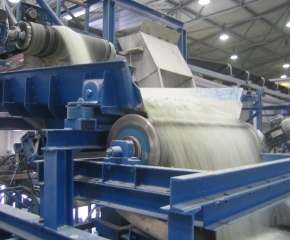 This latter group also includes drum magnets integrated into conveyor systems, which are used in the recycling industry.